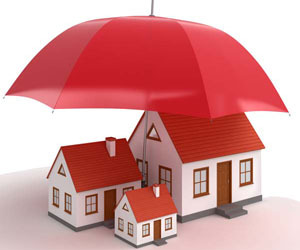 You don’t have to pay full home insurance price. There are lots of discounts you may be eligible for, including some very basic ones, and all you have to do is ask. “Insurance companies try to provide an opportunity for customers to lower their premiums”, says Mario Morales, senior corporate underwriting consultant in Warwick, R.I. Homeowners signing up for new insurance coverage will be asked a series of questions, either by their agent or by the insurance company, to determine which discounts may apply. But come renewal time, there’s no obligation for them to recheck, which is why it’s important to stay on top of things, says Bill Wilson, an associate vice president of the Independent insurance agents and brokers of America, an Alexandria, Va, based trade group. Getting the cheapest homeowner insurance doesn’t have to be complicated, it can be as simple as being a faithful customer, read some home insurance reviews or having good credit. Here’s a look at six simple money savers you may not know about. Insurance companies want your business and are willing to reward you for bundling multiple policies. Buying your home insurance and auto insurance from the same company can save you 30 percent in some instances, according to Brad Lemons, a vice president at Columbus, Ohio, based Nationwide insurance. Increasingly, insurance companies are throwing life insurance into the mix, which means you may be able to save even more if you have your homeowners, auto and life policies under one carrier. “It’s always good for consumers to look for companies that have the ability to meet all their needs both from an insurance and a financial standpoint”, says Lemons. “The more you can get bundled, the more attractive it is to the consumer”. Not only will you save money, but you’ll have more consistency in the way claims are handled and how you receive communications. Depending on the level of risk you’re able to handle, you can save a bundle off your cheap home insurance quotes simply by going with a high deductible policy. The deductible is the amount of your loss that you’d have to make up out of your own pocket, before the insurance kicks in. Instead of going with a $500 or $1,000 deductible, homeowners who can afford a big out of pocket hit or are willing to gamble that nothing will happen to their home might choose a $10,000 deductible, and save as much as 35 percent, Morales says. Though high deductibles are more typical on multimillion dollar homes, folks in lower tax brackets often will opt for the highest deductible possible. “Some people who feel they really won’t incur any type of loss may decide to carry the maximum deductible to get as much premium savings as possible”, says Morales. But have the money to cover the deductible on hand just in case something does go wrong, he advises. Many people know that fire alarms, carbon monoxide sensors and burglary systems help to get them affordable homeowners insurance. The discounts can be even greater with today’s more advanced monitoring systems that report to a central location and alert first responders. Alarms connected to a central station can cut premiums by an average of 10 percent, Wilson says. Insurers offer the discount because the risks are minimized if your home is being monitored 24 hours a day. “With fire response, time is everything”, he notes. Alarm companies advertise that the insurance savings can be 20 percent, or even more. If the premium discount is your main motivation for buying a particular security system, it’s a good idea to double check with your insurance company or agent to find out specifically how much you’re likely to save. Insurance companies want you to remain a customer for as long as possible, which is why loyalty can pay off with cheapest homeowners insurance. Lemons says longtime Nationwide customers can save anywhere from 5 percent to 10 percent. “It varies, but it’s usually between three to five years before you start to see discounts for loyalty kick in”, he says. According to Wilson, most insurance carriers offer some form of loyalty discount, typically in the 5 percent to 10 percent range. “Insurers make money keeping a customer several years”, he says. “It’s worth it for them to give a credit”. With some insurers, loyalty alone won’t yield savings. You might also need to stay claims free or maintain multiple policies with the company. A high credit score can get you more than a favorable interest rate on a car loan or mortgage. It also can result in cheapest home insurance. Insurance companies check credit reports to gauge whether a customer is likely to cost them in the future, Lemons says. Wilson adds : “The stats show people that have a better credit score have fewer claims”. Given that connection, insurers are willing to charge less if you have good credit. But what constitutes a good credit score, for insurance purposes ? It varies. Each company uses its own calculation to determine how much a credit score will impact premiums, which is another reason it pays to shop around, get free home insurance quotes and ask questions. Indeed, Wilson says a quote for his own home insurance was unusually high, and it turned out that the wrong credit score was being used. Once he inquired about it, the premium dropped, by roughly $1,000. For a married couple, the insurer will take the better of the two credit scores and use that to rate the policy. If you live in an area that is prone to natural disasters, such as hurricanes or tornadoes, a little preparedness may be worth a low cost home insurance. Savings can be as much as 30 percent in some states if the home is fortified in accordance with standards set by the Insurance institute for business & home safety, or Ibhs, Lemons says. Ways the requirements can be met include sealing the roof beneath the shingles and pruning trees away from the home. “Homes that follow the Ibhs guidelines are less likely to be impacted when a storm comes through”, says Lemons. “The challenge is how to invest and retrofit your home”. Make your dwelling storm ready and enjoy cheap home insurance through discounts that go by different names including a “fortified home discount” and a “windstorm mitigation discount”.